British Airways has launched a generous ‘buy Avios’ bonus promotion. 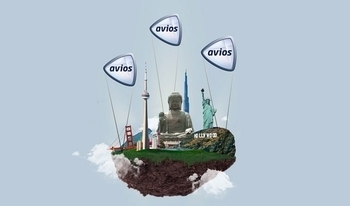 Until 8th May you get 50% bonus Avios when you buy points. As well as being the highest bonus we have seen for quite a while, there is also no minimum purchase. The bonus kicks in with the smallest 1,000 Avios transaction. You need to visit ba.com via this page in order to buy. British Airways has increased the number of Avios you can buy under this deal – the cap is now 200,000 points per year! This means that, with the bonus, you will receive 300,000 Avios for a whopping £3,215. This is not necessarily a great idea as the best value is generally obtained by buying a small number of Avios to top off your account. If you saw me on BBC1’s Rip Off Britain recently (you can watch the segment here, it is only 3 minutes long) you will know that one of the members of the public I tried to help had bought 100,000 Avios for £1600 without fully understand the restrictions behind them. In general, you will pay around 1.1p per Avios under this offer. Based on my spreadsheet of the last 6.5 million Avios I redeemed, I got 1.14p of value. This is using very conservative valuations for the flights booked, eg I value a Business Class flight to Dubai at £1500 because even if BA isn’t charging that there is usually a deal with a secondary airline. I am clearly not a buyer at 1.14p. However, as my core article on ‘What is an Avios worth?’ shows, it is easy to get a lot more than 1.14p. My valuation is low because I do a lot of Gold Priority Rewards (using double Avios to force open a seat) and don’t always have a BA Amex 2-4-1 voucher to use. I also tend to use Avios irrespective of the value, because I am sitting on so many. If you are strategic you should do better than me. The link to buy is here . Marriott is dipping a toe into the ‘homes for rent’ market, and it has chosen London as its test bed. The new venture is called Tribute Portfolio Homes. The interesting quirk is that you earn Marriott Rewards points and status night credits on every booking. The home page is here. The service is put together by Hostmaker. Hostmaker is a company which offers management services to people listing property for daily rent, and oversees listings on Airbnb, HomeAway etc. This is a bit of a coup for them as it can offer an exclusive marketing channel to homeowners who sign up with it. There are lots of interesting London flats and houses to rent. What you won’t find – in case you were thinking of doing a cheap mattress run for status purposes – are any bargains. I couldn’t find anything available for under £100 per night. Virgin Atlantic is offering a surprisingly decent £264 fare to Dubai. The fare runs from May to July although, to avoid the worst of the heat, I would go sooner rather than later. £264 dates are few and far between in early May but there are other days at £274 – use the ‘5 week’ search option to find the best option. That price is for the ‘hand baggage only’ fare but you don’t need a lot of clothing for the Middle East at this time of year. The Virgin Atlantic booking site is here and you can learn more about their new Economy ticket types here. A review of ‘Economy Delight’ – or, more accurately, a review of what happens on a press trip to try out ‘Economy Delight’ – will follow in a couple of weeks. Shock BA announcements - some priority baggage WILL now receive priority, and a First Class bus! I still think buying avios could in theory be good value. For instance, 2 F tickets to Bermuda for next Spring come in at £11,576 (though I don’t know what sale pricing is like on that route, but BA do the only direct flight from Europe so there’s little competition). If you bought 150,000 avios to cover most of the redemption price and used a 2 4 1, in cash terms you would be looking at around £2800 once you factor in BA charges, cost of the avios and BAPP annual fee. This does look like quite a bargain! A feature on the most expensive routes (and therefore best value redemption opportunities!) would be really interesting. This is a good point – as a general buy the value isn’t massively brilliant but if you can bag 2 F seats then you’d be looking at decent value. Our ‘issue’ is that we’re a family of 3 which impacts on use of 2 4 1 and the ability to get a steal of a deal! Don’t you have a Lloyds card for the upgrade voucher? We are also 3 so use that in conjunction with the 2 4 1 – my F ambitions are shelved for when we start travelling as a couple again! Tom, if you’re going to get the Lloyds card do it soon as it’s in the process of closing, though afaik they are still accepting phone applications. Apparently the card is not dead and buried, just sleeping. Can’t say any more! Feeling generous though, I am however willing to sell 3,500 avios for that amount if anyone is looking for a slightly better deal?? OT, I know I can take a guest into a lounge with me as a silver if they have no status but do they get the other benefits if they’re travelling on the same booking as me? Fast track security, priority boarding etc.? Fast track security no but normally you can blag it. Priority boarding is a grey area. Historically you weren’t entitled but were normally fine. Now there are boarding groups you will be in different groups depending on individual status (still the case on a flight I took on Sunday) but I thought BA were in process of changing their IT to harmonise groups on the same booking. Knowing BA this could take a while. I guess if the chance of being forced to take walk of shame bothers you I’d not chance it but otherwise should be fine if you board together & ask nicely. I thought that you could +1 on fast track – at least I have and never had an issue! Yep. The BA website actually says that people in different boarding groups if travelling together can board together. Board together with the highest group in the booking ie If you’re in group 2 and the rest of your party might say 4/5/6 but they won’t be turned back. I’ve had the same in Madrid. This means that, with the bonus, you will receive 3,000 Avios for a whopping £3,215. We are traveling first class out of Heathrow and I know I can guest someone into the Concorde lounge if they are flying BA. On the return, we are flying club whilst the others in the party are flying first. Does the guesting rules work for 3rd party/contract lounge or is this a BA owned lounge benefit? Not sure where you are flying but if it is a 3rd party lounge then it won’t be a Concorde Lounge so in my experience First and Business will use the same lounge. If it is another One World with a specific First lounge then First are allowed one guest as long as they are also travelling on a one world flight. Just realised the lounge is the same lounge for F and business, so no problem. Thank you for your time to answer! OT – I spoke to MBNA customer service yesterday about my Emirates card, at the end of the call when he asked if there was anything else they could help with I asked if there was any update on the future for the card considering it was pulled for new applications sometime ago… His reply was interesting.. he asked if I had received ‘the letter’, I said I wasn’t sure as I was out of the country. He said ah ok, well letters are in the process of going out, but that he wasn’t allowed to talk about it until the customer had received ‘the letter’. But then let slip that people with other reward cards were being moved to standard MBNA cards, but that he couldn’t confirm anything for my card until I had received ‘the letter’! Thanks for the heads up, Ian! I sure do hope that this card continues for existing cardholders; Emirates is a superior airline, and having the Elite card has meant I am able to make a healthy number of upgrades from J to F on most of my EK flights. Worst case scenario if it ceases is to move to the Amex Gold….any other suggestions on racking up Skywards miles? It will depend what they mean by a “standard MBNA card”. When the BMI card was closed down, I was migrated to their standard MBNA rewards cards pack. The Amex pays 1p per £1 and Visa 1p per £2. Not everyone was offered this deal. I don’t know how long the MBNA Amex will last for. But I’m pretty happy with the 1p per £2 on Visa when I can’t use my BA or MBNA Amex. Is there any chance the airlines (American, Lufthansa, United, Emirates) that previously had deals with MBNA will move to Amex Membership Rewards or will most of them abandon the UK market? Similar services are 9flats.com (the company is even based in Hamburg) and wimdu.de. Lots of smaller hotels of the B&B type are listed on hrs.de. Private properties are sometimes listed on ebay-kleinanzeigen.de, but then you are really on your own to negotiate conditions. As Hamburg is growing quickly (largest non-capital city in Europe per capita), we do have rather strict controls of renting out private property commercially. I’m slightly bemused by what Brian in the Rip off Britain clip was intending, when he bought 100k avios… especially given his stated lack of interest in business class redemptions! Yes they never really explained that! Yes… I can understand people feeling somewhat aggrieved on finding out that earned loyalty points are of limited value to them, but surely you’d want to understand what you’re getting before spending £1600! Obviously not in some cases…..
Did he not even get a bonus on the 100k? That’s a real sickener! Yes, Pretty sure this isn’t the most generous deal we have seen for a while! OT – trying to refer from Plat to Gold, when I click on other cards, it is just showing the basic green card, and not the gold, under charge cards. Is there a way to get around this? This is the same for everyone – all referrals to Gold are broken right now. I’m assuming (hoping) it’s a tech issue that will be quickly fixed. If someone is referring from Gold, the page is completely broken. Thanks for the info. As you say hope this is just a tech issue and not something worse! I’m guessing this is what others are seeing ?? Thanks for that context, Sussex Bantam. It looks like Preferred Rewards Gold will now be a credit card, not a charge card. It still has the same fee, and the same sign-up bonus. Referrals from Plat to Gold currently aren’t possible, but hopefully the IT will be fixed shortly. And TWO very interesting opportunities open up. More tomorrow. Interesting! This may make it easier for me to refer people who don’t really play this game and didn’t really get charge cards! I think that is why they’ve done it. I honestly think the ability to earn a bit of interest income is secondary. Thanks for the reassurance, Rob. I’m curious about what the new opportunities might be given that the new Credit version is otherwise the same as the previous Charge version. PS – If you could let your Amex contacts know that they still need to add the new Gold Credit Card to the list of Other Credit Cards from a Platinum referral page, that would be highly appreciated..! Does the spend on the Avios count as “BA Spend” on the BAPP? I have bought avios in the past, at the 50% extra rate, in order to have enough avios at the D-355 point, to make use of a 241 voucher, despite knowing I would earn enough over the coming year. Wasn’t there a plan (possibly a targeted trial?) to allow you to buy a redemption ticket without yet having the required avios balance – ie in the expectation that you would have enough by the time of the flight – or did I dream that? That was possibly on avios.com, not for much longer if so! Yes, it was trialled a couple of years ago. Was a clever idea but not rolled out. As a newly setup independent consultant with a fair bit of travel (and GGL status allowing free cancellations and changes) I find Avios to be very efficient for business travel. As a recent example, for a mid-week trip to DC BA wanted £1500 round trip in economy and £2500 in premium. And £5000+ in club. While there was no club availability I was able to book either economy for 26,000 avios and ~£350 of taxes or premium for 52,000 avios and £450 of taxes. Thoughts if buying avios at 1.1p makes sense if this is the primary use? We of course also use the GGL jokers to unlock avios redemptions on popular routes during peak periods which is an excellent use for them. Separately anyone have experience with HMRC and business expensing of avios purchases or tickets purchased with avios? If you buy them solely to redeem for business use flights there is no issue expensing that in my view. £5k for CW? Is that booking the day before or something?! If you look at mid-week trips to DC (anything without a Saturday night stay) in June it’s still the same (actually £5,800 in Club). This is how BA make their money from captive corporate customers. As an SME these fares are punitive and I need to start looking at other indirect options. Or book using avios. OT: anticipating upcoming expenses of 10k + that will need to go on a non-amex card, likely through curve. I’m comparing to see which would give me the most value between the new virgin + an HSBC Premier Elite. Does anyone have recent experience with getting the extra 40k points for hitting the yearly spend without triggering the second year’s fee? Do any you have any experience of using rewards cards for any element of buying a property? I am likely to purchase soon (with mortgage) and like any good person on here am keen to find ways of getting maximum gain! I think a mortgage is the one thing you really can’t get round. Banks usually want the bank account details you will be making the repayments from as part of the application. They would probably consider you a credit risk if you wanted to make payments on credit. But estate agent/solicitor fees, your new furniture et.c. can probably all go on cards! I paid a deposit for a new kitchen on my BAPP a couple of years ago which came in handy. Indeed Anna, new BAPP card year coming up for me! Could try paying your solicitor fees plus any others and perhaps mortgage product fee via a CC or curve debit card. Thanks Scallder-thankfully the solicitor is a good friend who is well aware of my ‘habit’!